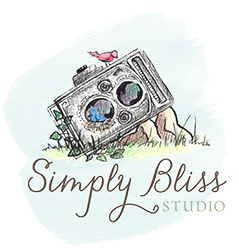 Simply Bliss Studio is located in the heart of Historic District of Downtown Smithfield. Our street address is 108 S. 3rd St, Smithfield. The studio is open by appointment only. If you see someone in, don't hesitate to stop by and say, "Hello!" Are you considering us for your photographic needs? Contact us today for a complementary consultation. Sessions take place on-location or in-studio.